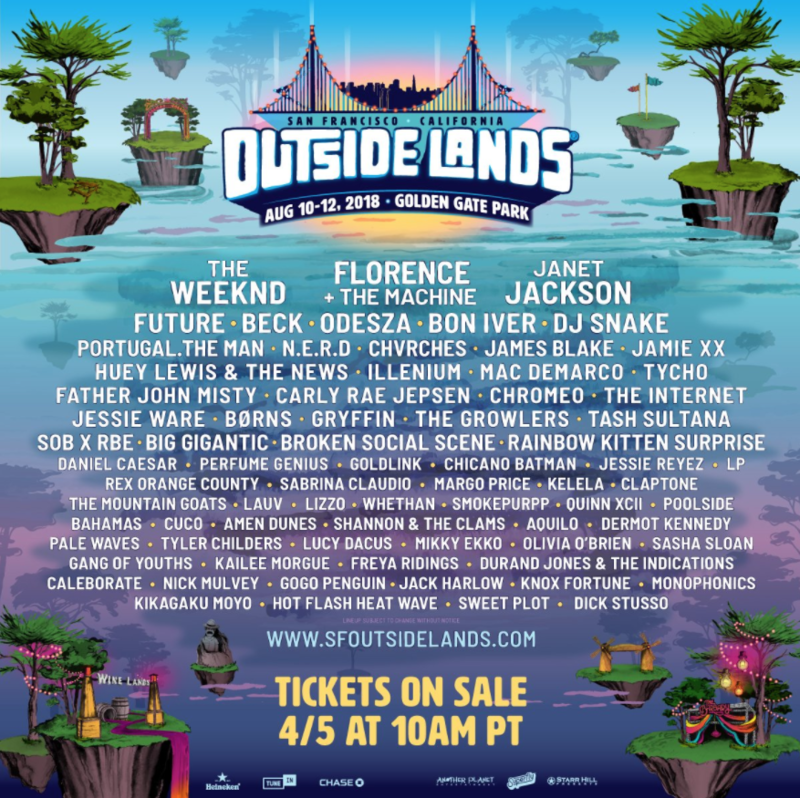 The Weeknd, Janet Jackson and Florence & the Machine will headline the Outside Lands 2018 festival, taking place in San Francisco’s Golden Gate Park on August 10-12, Another Planet Entertainment, Superfly and Starr Hill announced today. 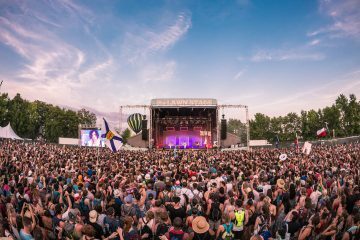 Other performers include Beck, Bon Iver, Chvrches, Kelela, Daniel Caesar, Tash Sultana and even Huey Lewis & The News. For the first time, Outside Lands is offering a 3-Day GA & VIP Layaway Plan option, allowing fans to pay for their passes in four installments. 3-Day GA and VIP Regular and Layaway Plan passes will go on sale this Thursday, April 5th at 10am PT, at http://sfoutsidelands.com. 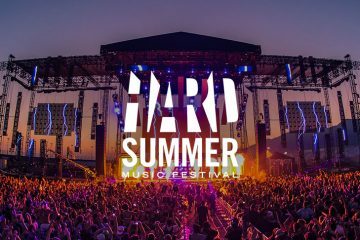 3-Day GA prices start at $375 + fees and 3-Day VIP prices start at $795 + fees. The festival has sold out in advance the past seven years. The full lineup appears below.